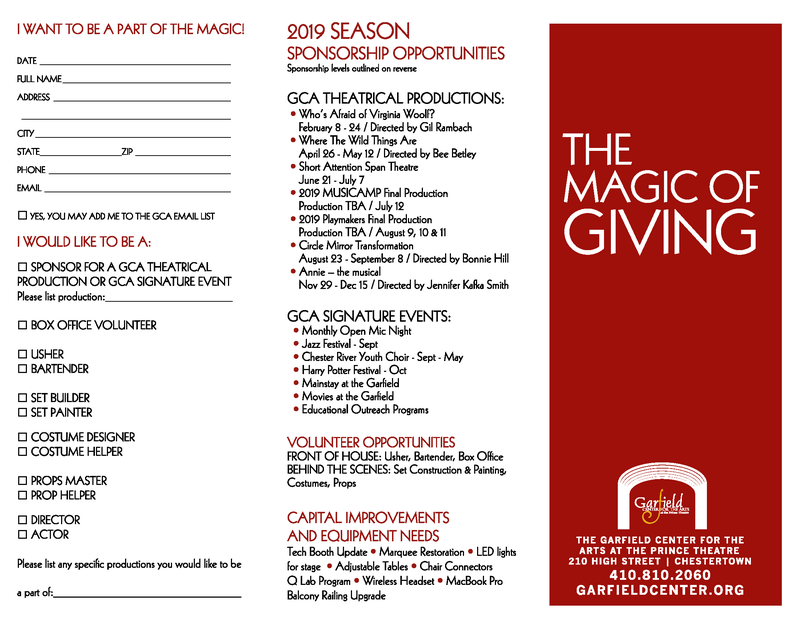 When you or your organization partner with the Garfield Center for the Arts you are showing your commitment to support and promote the arts and artists in our community and help contribute to our mission – To invigorate the cultural life of our community by nurturing, celebrating and supporting arts and artists through performance and education. Full Page Color Ad in all Programs ($1,100 value) for the entire season. Ten (10) complimentary tickets reserved exclusively for all GCA production opening night performances. Recognition in the form of inclusion in the live welcome speech given on all performance nights for the entire season. Lobby recognition for the entire season. Placement of your company logo identifying you as “Title Sponsor” for the production in the theatre lobby for the entire season. Name on all GCA production printed tickets. Recognition in the form of inclusion in the live welcome speech given on performance nights of the sponsored production. 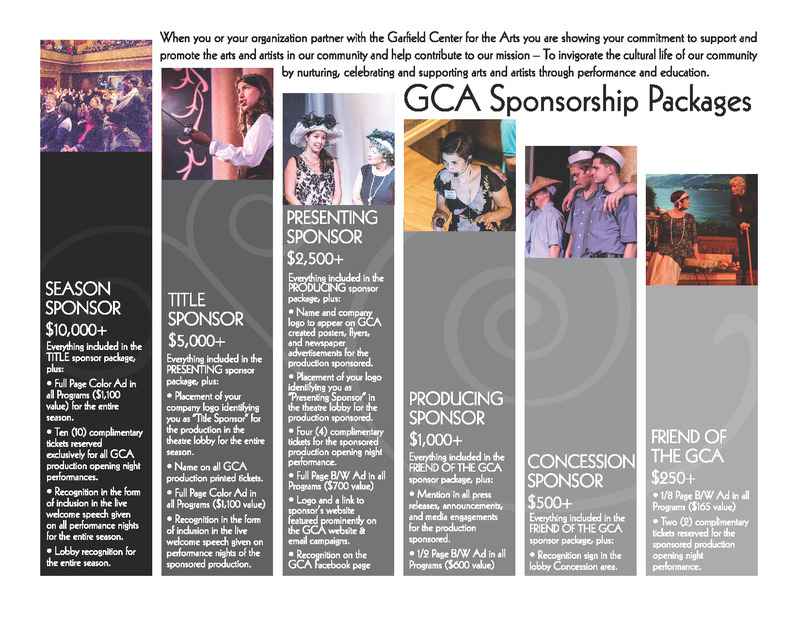 Name and company logo to appear on GCA created posters, flyers, and newspaper advertisements for the production sponsored. Placement of your logo identifying you as “Presenting Sponsor” in the theatre lobby for the production sponsored. Four (4) complimentary tickets for the sponsored production opening night performance. Company logo and a link to sponsor’s website featured prominently on the GCA website & email campaigns. 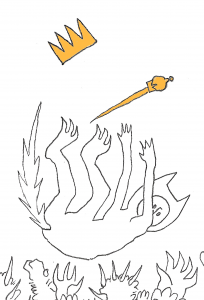 Mention in all press releases, announcements, and media engagements for the production sponsored. Recognition sign in the lobby Concession area. Two (2) complimentary tickets reserved for the sponsored production opening night performance. We are happy to discuss full sponsorship and co-sponsorship opportunities. Please contact Tess Hogans at thogans@garfieldcenter.org or 410-810-2060 for more information.